1. Book early if you want the best prices. Get on the budget airlines newsletter distribution, at least Ryanair and Easyjet from UK – this will give you early warning of the new summer schedules, as well as special offers. 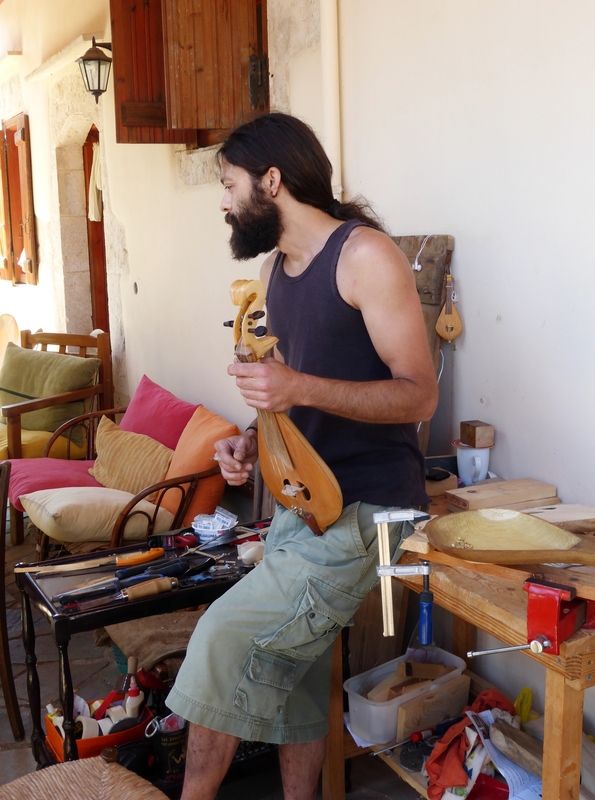 Routes to Crete for the summer are out latest by Oct previous year. Register with them to save you time booking (by storing pax data) and give you a heads up on relevant travel info. 2. Check who flies to Crete from your country. These days there are many, some less well known budget airlines flying into Crete. Here is a pretty up to date list of airlines flying in from around Europe. 4. Think about staying overnight near the airport if its a long drive. Many hotels, particularly smaller private ones, offer a good value “stay and parking” offer for the duration of your holiday, which may work out cheaper than long stay at the airport. 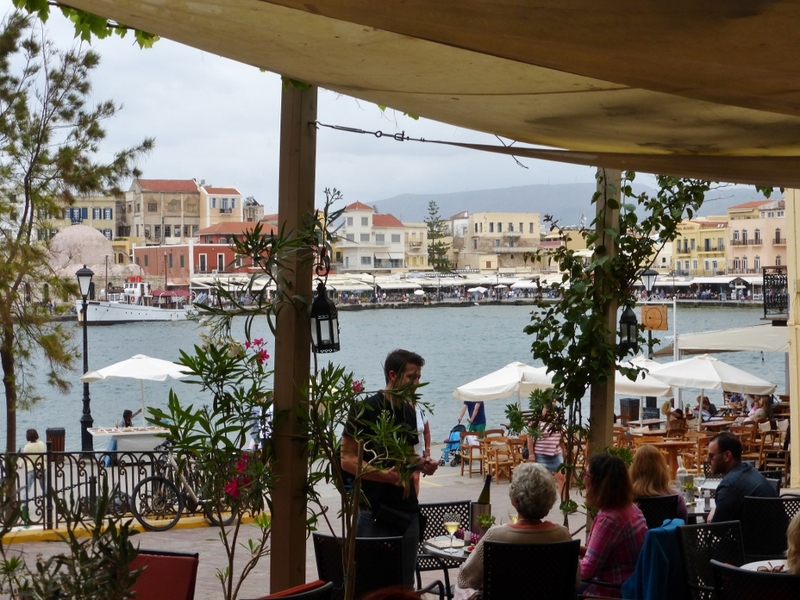 5.If you are up for it, there are cheap flights to Crete not flying direct. But watch out for odd routings – last summer one guest family flew from UK via Prague. Norwegian are big on this sort of thing. Rome is a Ryanair alternative stopover for Crete. 6. Beware weird (typically Ryanair) airports – Hamburg-Lubeck is 1h from Hamburg by motorway; Frankfurt-Hahn nearly 90min; if you need to change in Rome, remember Ciampino (used by budget airlines) is 2 ½h from Fiumicino, the airport used by all the rest! 7. Coming to Crete, consider both Heraklion and Chania – the latter is a Ryanair hub, and served by many airlines, but the former has many more flights.Timing and cost may favour one in and the other out – bear in mind a one way car rental will only cost 30 euros extra. 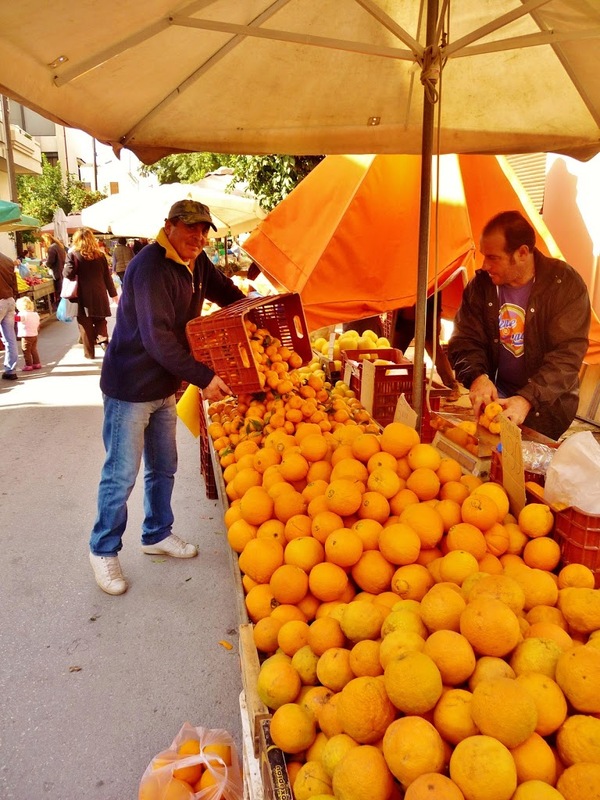 Chania is only 50 min from Panokosmos, and whilst Heraklion is a 2h drive on a good highway, its a lovely way to get a first sight of the countryside. 8. For cheap flights to Crete flight time of day affects costs – often early or late flights are cheaper if that’s important to you. If you appreciate more civilized flight times check out return flight – often the early start aircraft will be routed onto the same return leg, leading to a late morning departure rather than an 0600 red eye! 9. Economy means no hold luggage, and no frills, but for a bit more comfort worth having allocated seats – a few euros, and speedy boarding at the gate gets you ahead of the crowd, gives you more time to store luggage on the plane, less jostled and an opportunity to get settled. Bring your own sarnies if pushed for cash, and buy water airside will still be cheaper than on the plane. But they are pretty tough on drinking your own alcohol on board, so don’t try it! 10. 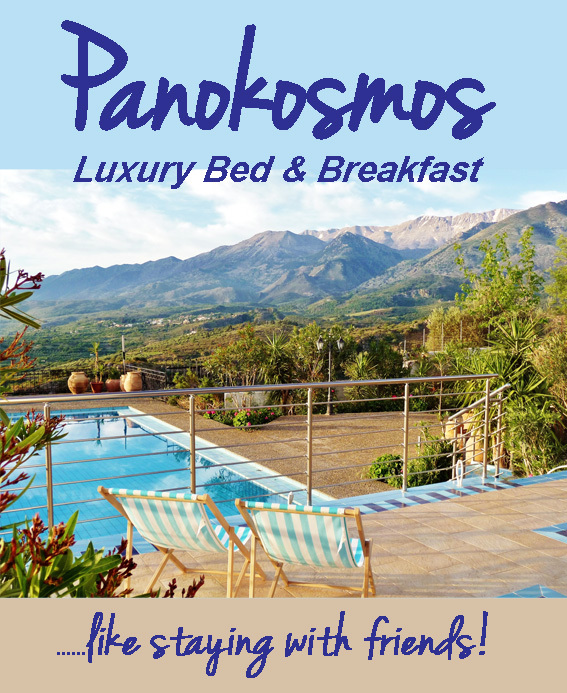 And if you’ve got this far, check out panokosmos for a place of peace and tranquility to recover from all the hassle you’ll have been thru to get out to Crete.